Conducting air transportation in the fastest and the most comfortable manner depends fundamentally on ensuring safe and secure flights. Therefore, due to its increasing significance, the subject of airport security services has been the focus of various studies. The purpose of this study is to determine the relative importance of the factors that play a key role in airport security services. Determining the relative importance of these factors may help use the resources more effectively and efficiently, and thus enable airport checkpoint security services to be delivered at the optimal level. 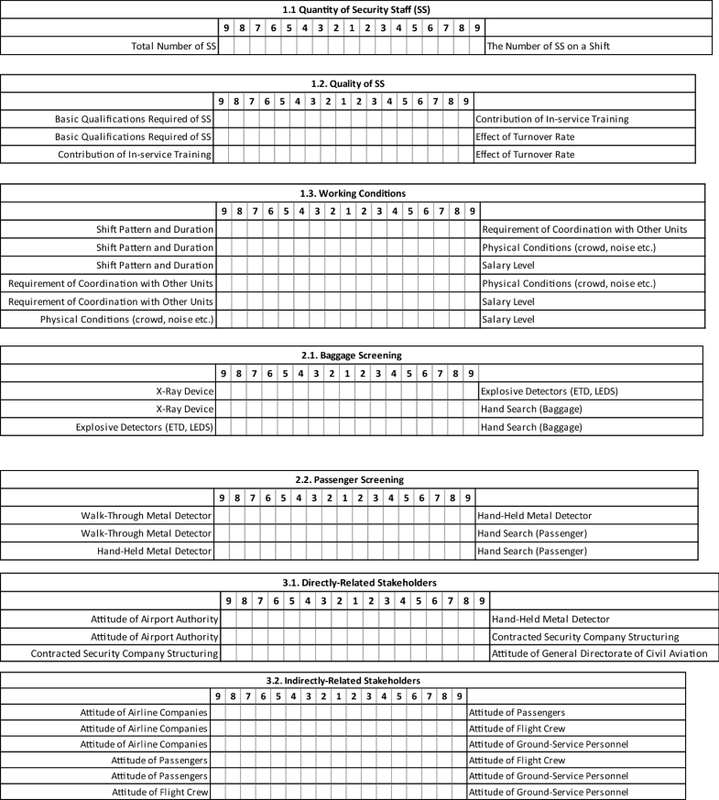 This study employs a multi-criteria decision-making technique known as the Analytical Hierarchy Process (AHP). The major factors named as Human Resources, Facilities and Equipment, Stakeholders, Regulation and Supervision and Costs, and the sub-factors under these major factors were determined on the basis of the consultations held with the field experts and review of the relevant literature. Within the scope of the study, airport security staff including both practitioners and managers at various levels of work positions were selected as the participants. The AHP method was applied to the obtained data, and the human resources factor was found to be more important than the other factors, which is supported by other research findings in the aviation literature. 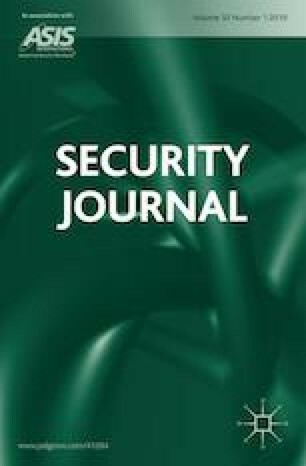 The aim of this study is to determine the relative importance of key factors that determine the effectiveness of airport checkpoint security services. Identifying which of these factors are more important than others will facilitate an increase in the effectiveness of checkpoint security services. In this context, a comparison of each factor with others in its relevant title is needed. We request that our participants fill out a pairwise comparison survey with respect to the table below to indicate the importance of one factor over another. This survey is in three parts. The first is a comparison of main factors, the second one is a comparison of factors, and the last part is a comparison of sub-factors. Only the occupational positions of participants are required for the analysis. Name and Corporate information is not required. For the following table, please indicate the importance of one main factor over another. For the following tables, please indicate the importance of one factor over another. For the following tables, please indicate the importance of one sub-factor over another. Karimbocus, M. (2009). Competency requirements for aviation security. In 43rd Annual international Carnahan conference on security technology (pp. 1–4). Zurich: IEEE. https://doi.org/10.1109/ccst.2009.5335574.